Just picked up a couple of new books, courtesy of the generosity of friends. The folks whose computer I resurrected surprised me with a Chapters gift certificate the other day and I treated myself to two new books. 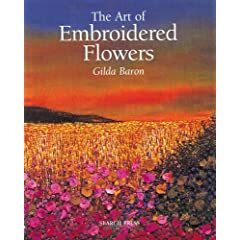 The first is The Art of Fabric Books, by Jan Bode Smiley which I've had my eye on for some time now and the second is The Art of Embroidered Flowers, by Gilda Baron. Both look fabulous. 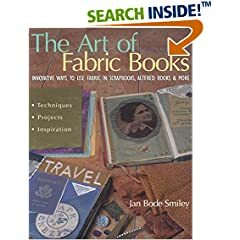 After I've had a day or two to digest them, i'll write something up. The timing was wonderful – just what I needed after everything that's gone on this week! Now, off for a read…..